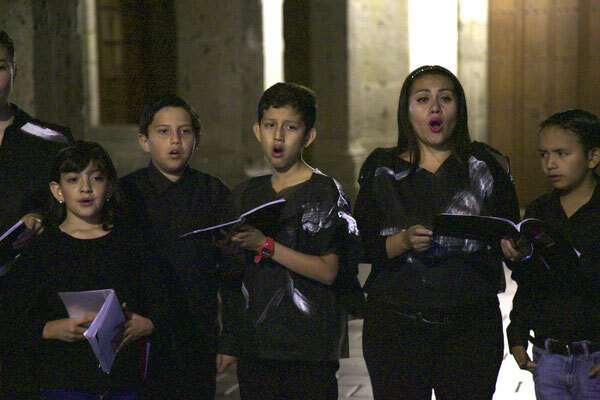 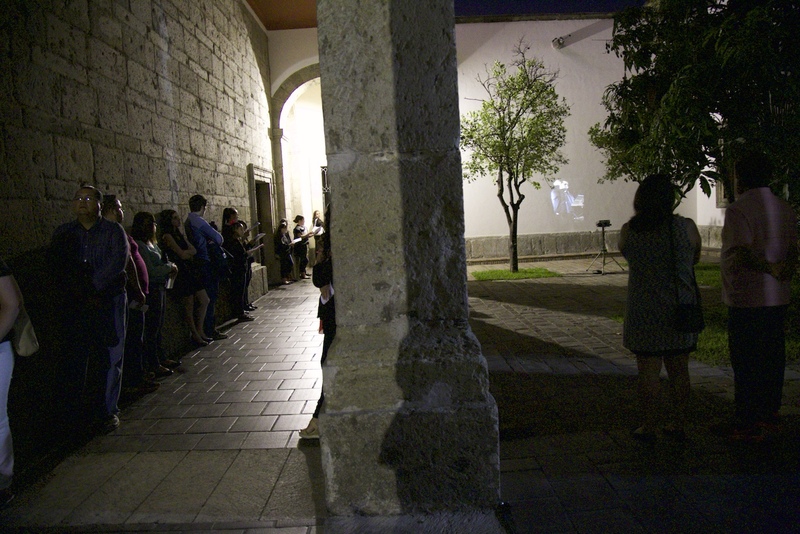 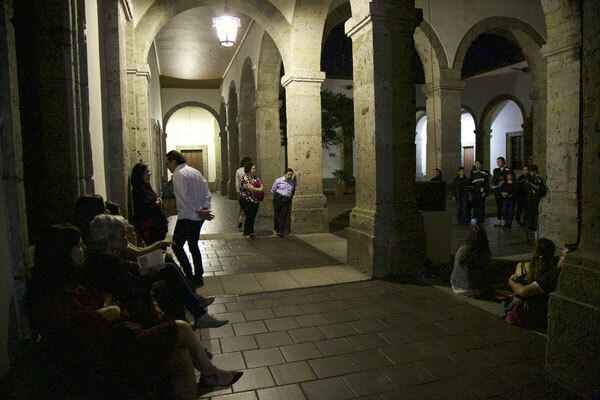 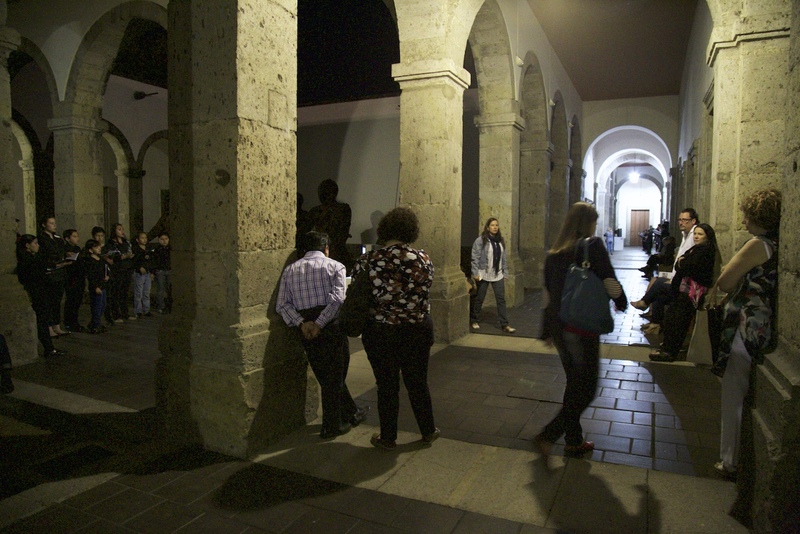 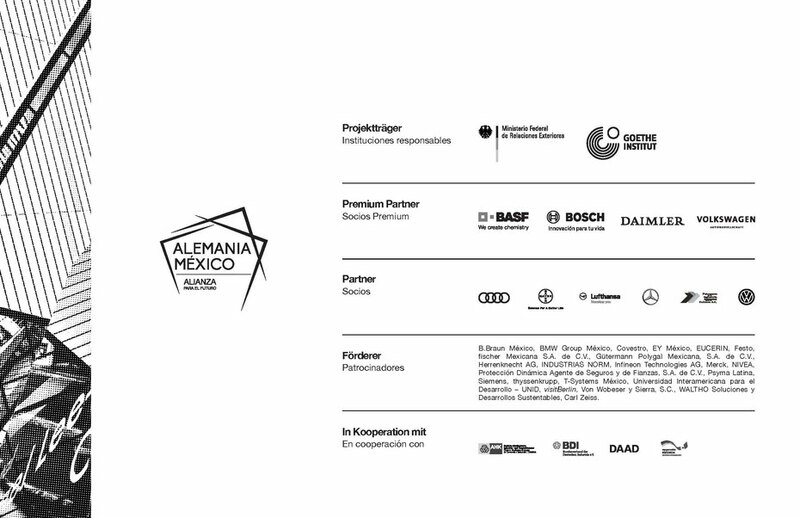 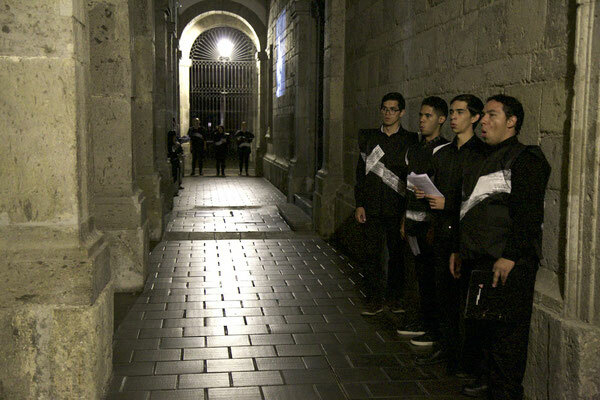 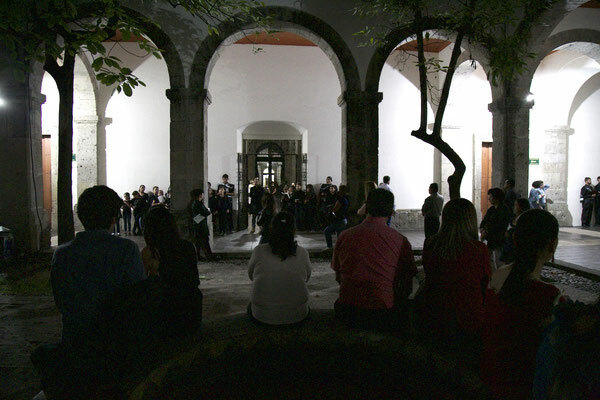 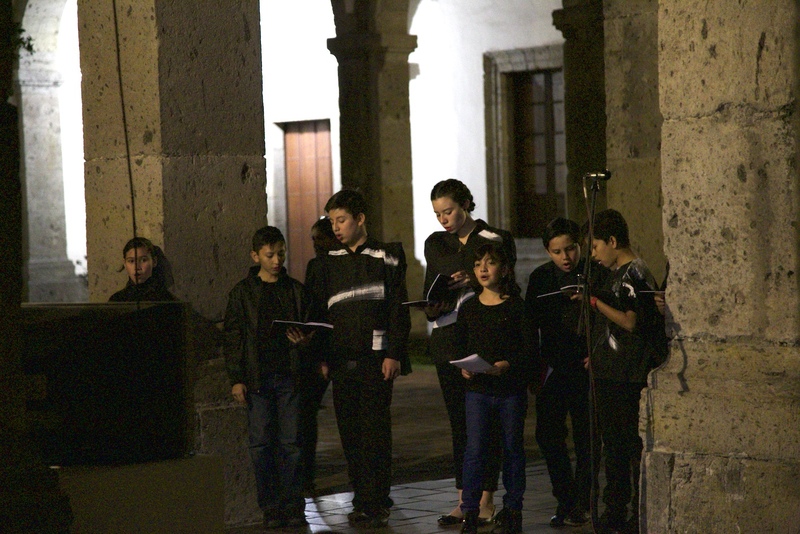 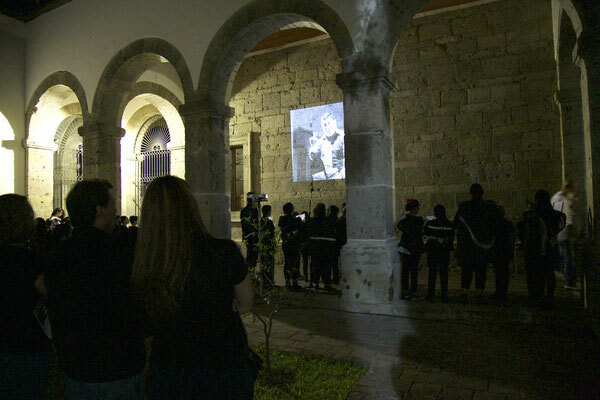 As part of her practical artristic research at Stockholm University of the Arts, Mareike Dobewall created "Vokal-De-Konstruktion" as a possibility for an audience to move freely through the architecture of sacred chorals inside of the Instituto Cultural Cabanas in Guadalajara in Mexico. For this piece Mareike Dobewall selected chorals from the archive of the Cathedral in Guadalajara in dialogue with the conductor Aurelio Martínez Corona. 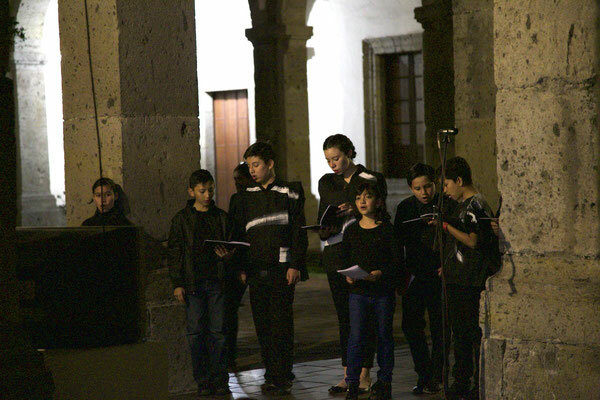 The distinct voices of the choir (soprano, alto, bass, tenor) were distributed in different parts of the architecture of the museum. Mareike Dobewall choreographed the sounds and the singers in order to give the audience the possibility to experience and explore the inherent structure of the music in varying forms. 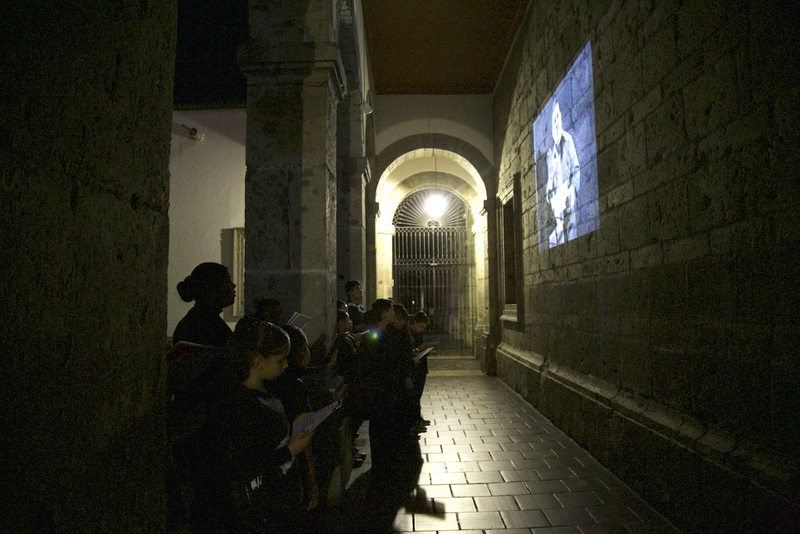 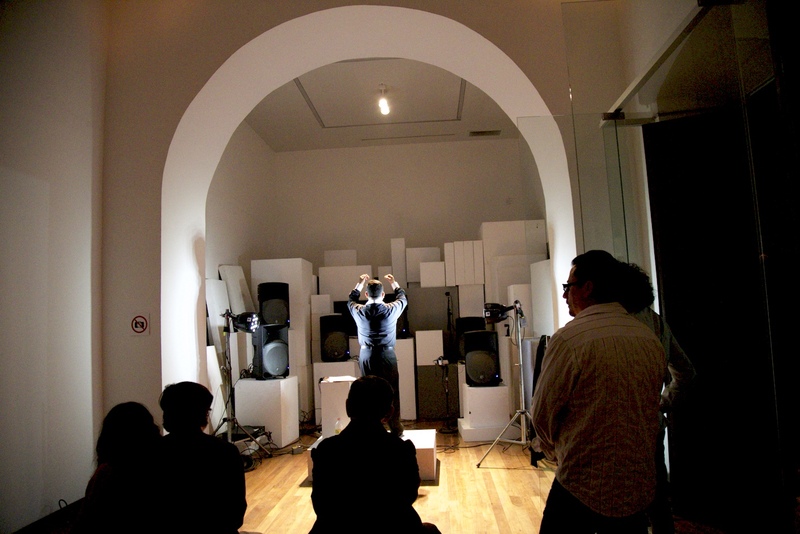 The conductor was placed in a separate room where he was filmed and projected in real time to the different voice spaces, while he received the direct digital sound from the singers through loudspeakers.